The dead are mourned still by many, but forgotten by many more. We have all read or heard or seen stories this week about the 9/11 attacks, but in the context of a news story, a passing spectacle. Some people still try to work up anger and rage for some political enemy or some cultural villain, but in the end the hardest, coldest truth is the pain and loss from that day. There is evil in the world, and everywhere. It attacked us before, and it will attack us again. The survivors will mourn the dead, do what is necessary to repel the attack, they will heal and they will rebuild. This is not a day of politics, nor to demand revenge. This is a day where we count our loss and remember those gone from us, and we commit to love and cherish our families and communities for better and for good. 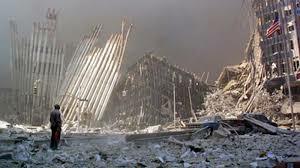 Many Want to Forget 9/11–But We Must NEVER Forget! "The protected can&apos;t begin to understand the price paid…"